When I first wrote about the Motorola Xoom tablet computer, back in February, I entitled the story Motorola Xoom might look good, but it isn’t cheap. It seems passing time and a strong Australian dollar really hasn’t changed that assessment. This afternoon the Motorola and Telstra, the exclusive carriers, officially launched the Xoom in Australia. It will go on sale in Telstra stores on May 24. 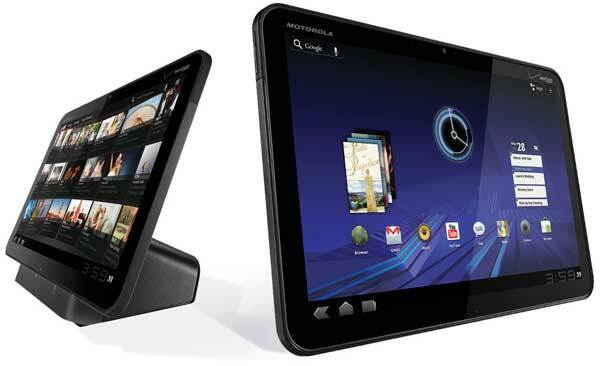 Read the Motorola Xoom might look good, but it isn’t cheap article for the specs and a video overview of the Xoom. $29 for the data + $25 tablet repayment – includes 1Gb of data per month. Total cost over the 24 month plan of $1,296. $49 for the data + $25 tablet repayment – includes 7Gb of data per month. Total cost over the 24 month plan of $1,776. $79 for the data + $15 tablet repayment – includes 12Gb of data per month. Total cost over the 24 month plan of $2,229. The Motorola Xoom may well be a great tablet, but at this price it’s hard to see it putting much of a brake on sales of the Apple iPad 2. Apple’s uber successful App Store not only makes the iPad 2 a user-friendly and user-exciting device, its profitability seemingly also allows Apple a pricing advantage on the device itself.